American alligators at The Swamp Park in Ocean Isle Beach, N.C. have turned themselves into ice statues to survive the cold weather. 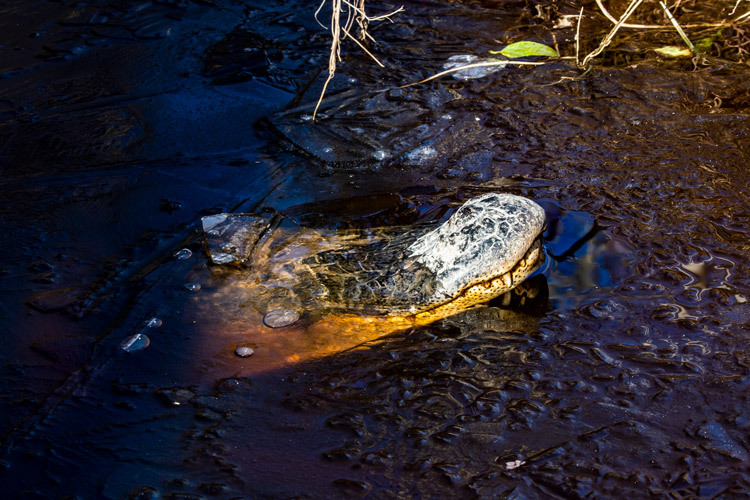 Eighteen alligators at the park have poked their noses through the ice and then frozen in place, entering a state of brumation, similar to hibernation. 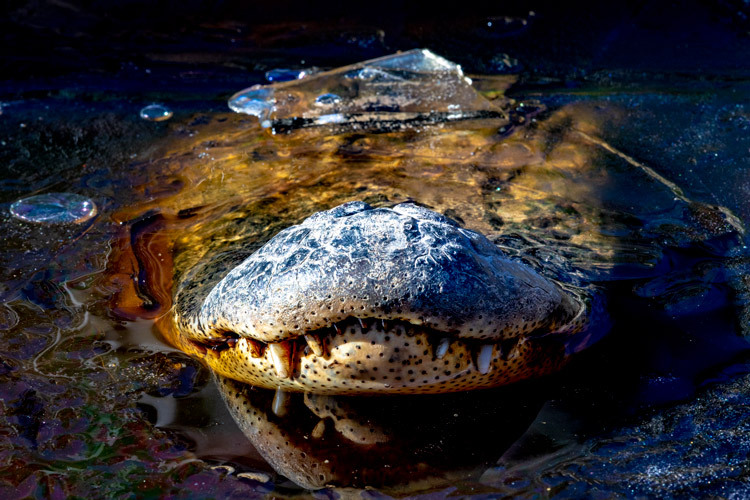 When in their frozen state, the alligators do not react when disturbed. A park employee says the animals seem to sense when a cold snap is coming and poke their noses above the water at just the right time. 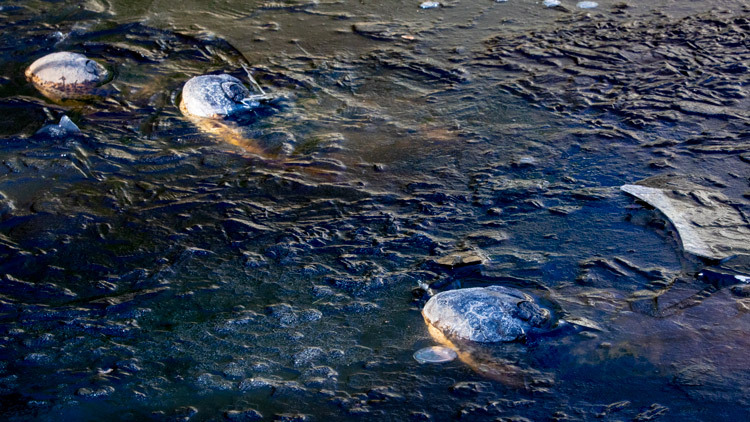 Last January, alligators at the same park made headlines when they froze with their noses above water for the first time. Those alligators thawed out a few days later with no observable impacts to their health. We asked General Manager at the Swamp Park, George Howard some questions about these clever gators. Since Swamp Park is the largest zip line facility on the East coast, Howard’s expertise falls into the zip lining field along with design, building, training and managing outdoor adventure parks. He wears many hats and driven to make the park the best it can be for visitors and wildlife. BRO: How long can they stay like that? Howard: Good question. I am not sure anyone definitely has this answer. BRO: What’s the difference between brumation and hibernation? Howard: Both are a metabolic state, brumation is a more aware state where true hibernation renders the animal asleep. BRO: Why do they do this? Does this say anything about climate change? Howard: The poking of the noses out of the ice is a simple cause/effect. The alligators need to breathe so in order to do so the poke their noses up. I believe this is a weather adaptation and not indicative of a climate change. BRO: Are there any risks for them to do this? Howard: There could be if they were unable to protect their body temperature. Stuck like this for too long could be detrimental. BRO: Do the alligators have names and/or noticeable different personalities? Howard: Some of our gators have names and yes, they do have different personalities. I have found this species to be far more social with one another than I previously thought.